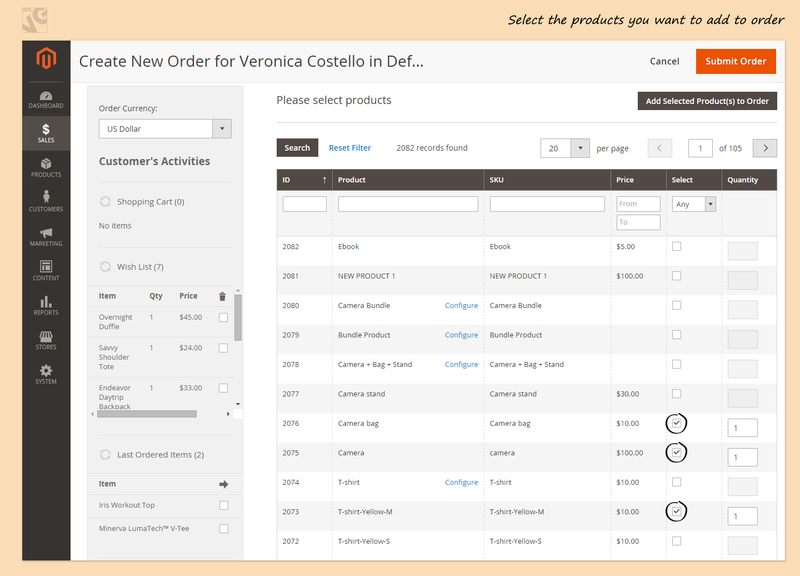 In this article I will show you how to create and manage Orders manually in Magento 2.0. Here you can see the status of your products. Select the customer for whom you create a new order. 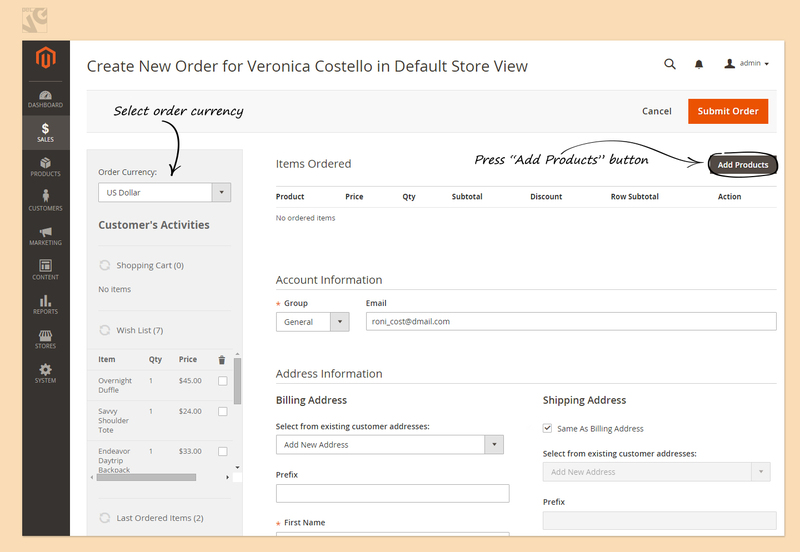 If the customer for whom you create a new order is not yet in the list, you can add a new customer by pressing the corresponding button. Select Order Currency from the dropdown list on the left. 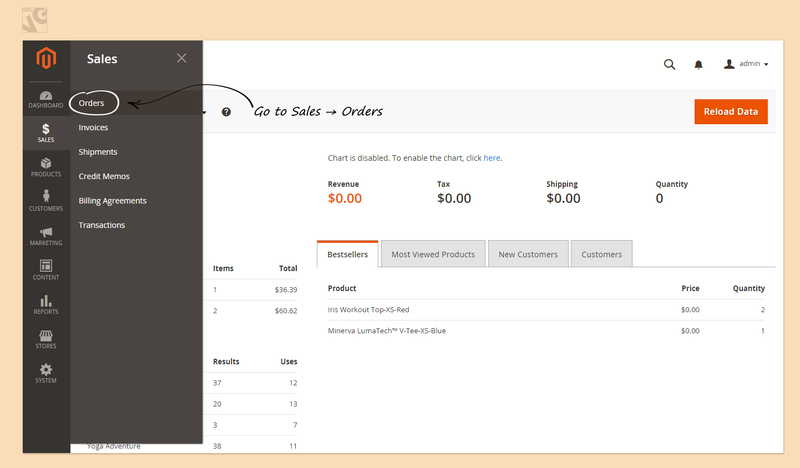 Press Add Products button to open a list of products and select those products that you want to add to the current order. You can add Products from customer’s Shopping Cart, from their Wishlist, Last Ordered Items, Products in Comparison list, Recently Compared Items, Recently Viewed Products. After you selected one of these products, press Update Changes. Select customer type and change Email address if necessary. Enter customer’s billing address. If billing address is the same as Shipping address, put a tick in the corresponding box. Payment methods that correspond to the products that are selected will appear. Press “Get shipping methods and rates” to select how your products will be sent and how much it will cost. 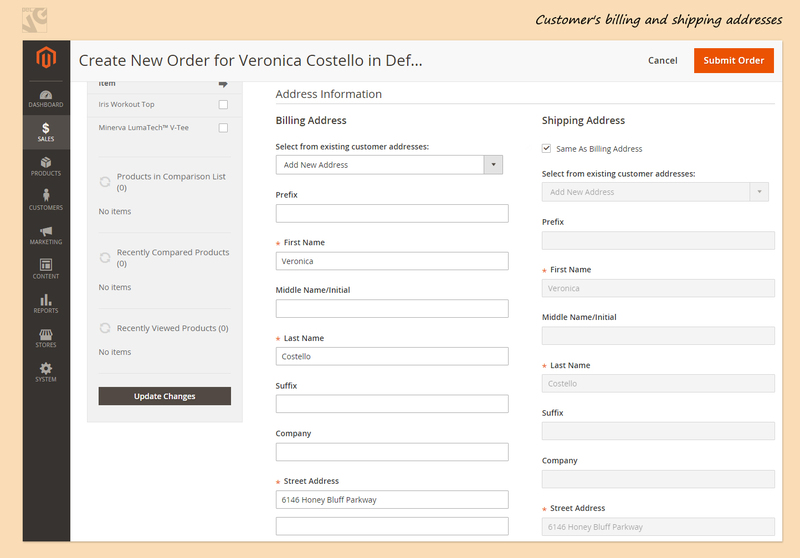 If necessary, add Order Comments to describe payment options to your customer. Define if you would like to Append comments and if you want Email Confirmation to be sent to your Customer. When this is done, press Submit Order.